The touchstone for Kim’s message! Full of sentiment and love, this bracelet was designed by Kim to share her affirmations of hope and happiness. Beautiful smooth white gemstones with a silver HAPPY charm as a reminder to choose to be ‘HAPPY.’ 7.5 – 8 inches in length on stretch cord. This beautiful bracelet, with a powerful message, arrives in a white organza bag with an enclosure card. Perfect for that special holiday or graduation gift or to wear yourself as a powerful reminder of all the possibilities that life offers. CLICK HERE to read the story behind the CHELSEA BRACELET. A portion of all proceeds goes to promoting bone marrow registration. This is the book mentioned above, but it’s read by Kim herself! If you prefer to learn by listening – this is the option for you! 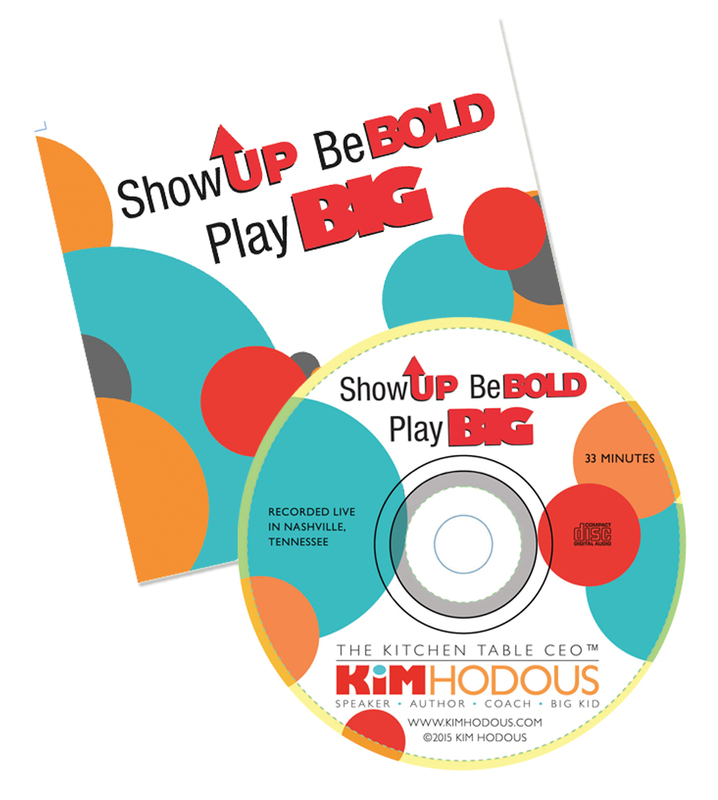 Audio CD – Show UP, Be BOLD, Play BIG – Don’t Be Average, Be EXTRAORDINARY! 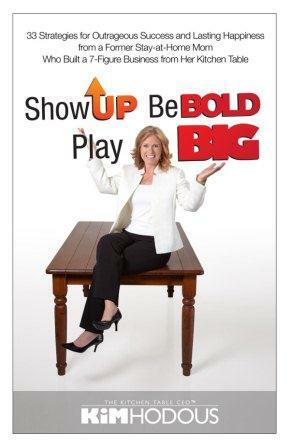 Kim’s signature keynote, Show UP, Be BOLD, Play BIG – Don’t Be Average, Be EXTRAORDINARY on audio CD. 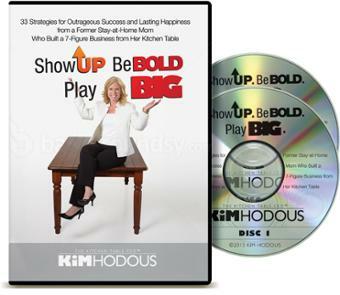 Over 30 minutes of Kim’s most requested presentation, recorded live in Nashville, Tennessee. 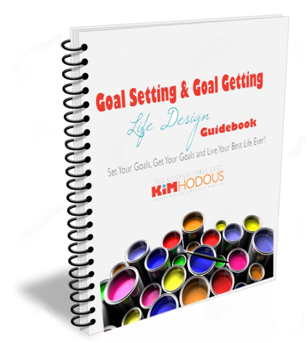 Kim’s phenomenally successful The Goal Setting & Goal Getting Life Design Guidebook will turn you into a Goal-Setting, Goal-Getting, Positive-Mindset, Soaring-Productivity, Action-Oriented, SUCCESS MACHINE in a few short weeks! This downloadable ebook will painlessly guide busy working women like you through the process of establishing a phenomenally empowering and rewarding plan of action so you can create your BEST LIFE EVER! Brace Yourself for the Easiest, Proven Solution Guaranteed to keep your entire household running smoothly! 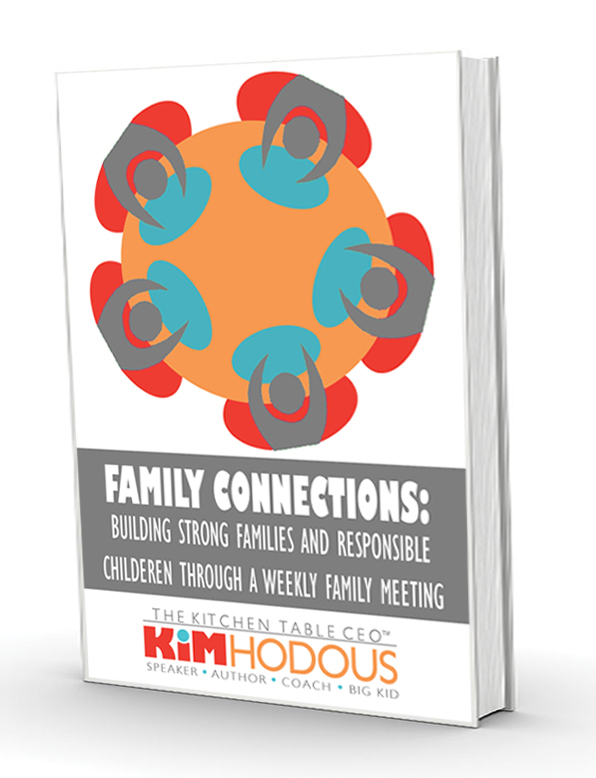 From single parents to home-schooling families, from traveling corporate moms to work-at-home stressed out moms, from families with one kid to families with half a dozen kids – the Family Meeting has proven a viable, tested resource for connecting your family, reducing your parenting stress and making your kids more responsible for their own lives! 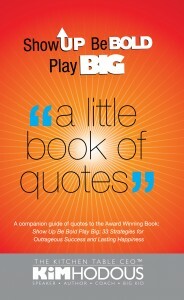 A Little Book of Quotes is the companion guide of quotes to the Award Winning book: Show Up, Be Bold, Play Big. Kim takes her 33 strategies for outrageous success and lasing happiness and shares her favorite quotes on each one. As Kim says in the intro, “I love quotes. They can change a mood or set you on a life changing path. They remind me of things I already know.” So prepare to be inspired – just a few words at a time! 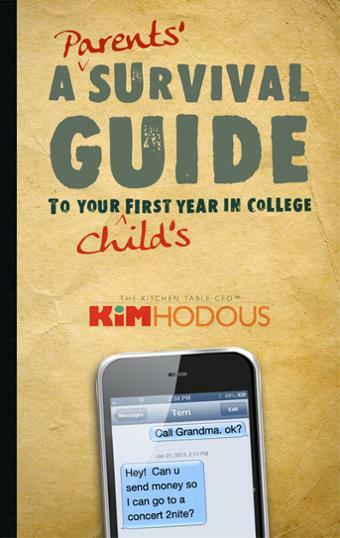 Kim Hodous has experienced the gamut of parental emotions and dilemmas that come with sending a child to college. She has sent two girls and one boy; one in her hometown, one an hour away and one out-of-state seven hours away; one played college sports, one went Greek; two moved into the dorm, one moved into an apartment; one started at a community college, two went straight to University; one dropped out and graduated six years later, one graduated in three years; and she shifted from a bustling household of six to a single child left at the dinner table.With candor and wisdom she shares how to be there when you’re not there, and what you need to know to survive your child’s first year of college. She knows. She’s been there. Step Up to a Whole New Level of Success! Sometimes we all feel stuck personally and professionally. We struggle to find solutions, but they seem almost impossible to come by. Well, just open up the pages of this book and you’ll find them. That’s because we’ve brought together the world’s leading speakers, trainers and entrepreneurs to reveal their life-changing secrets-secrets that empower you to profit when times are tough and triumph over challenges that seem insurmountable. These are the experts who have built their careers on enabling their clients to become healthier, wealthier and wiser. Now it’s your turn to benefit from their years of experience as well as their breakthrough ideas that have transformed lives. Rise up from the negative. Embrace the best tomorrow you can imagine. 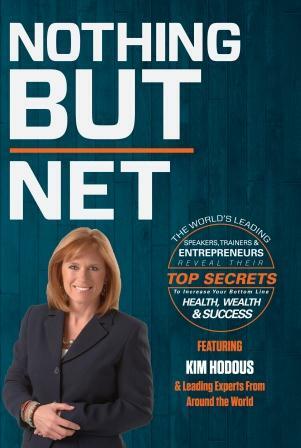 Enjoy “Nothing But Net” for years to come-by creating the awesome change you’ve been waiting for. Kim’s Favorite! The 10 strand set includes: Citrine, Garnet, Carnelian, Red Coral, Black Onyx, Olive Jade, Sodalite, Pearl, African Jade, and Amethyst. Each set comes gift bagged with an enclosure card that tells the power and energy each stone carries. Now you can feel the power and wear the beauty too!